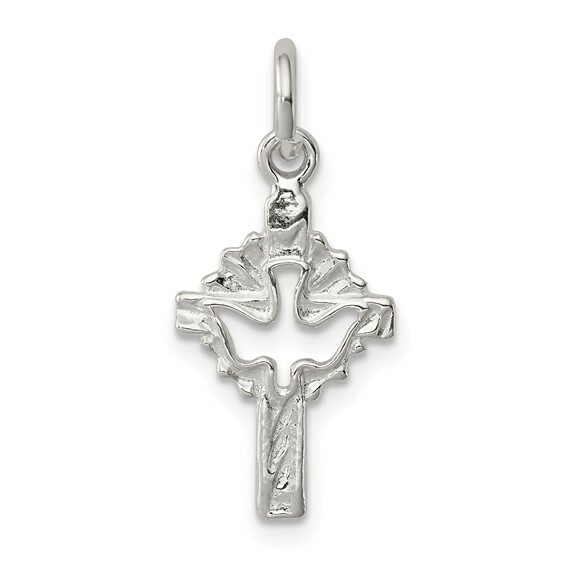 This small cross with dove charm is made of sterling silver. Measures 5/8 inch tall by 7/16 inch wide without bail. The dove symbolizes the Holy Spirit and recalls Pentecost when the Holy Spirit was sent in Christ's place. Weight: 0.8 grams. Looked exactly like the picture.